Welcome to our review of MyPoints. We love this well-known cash back site and we think that you will too. What is there not to love!? You can get cash back on all your online purchases and make some extra money playing games or taking online surveys. 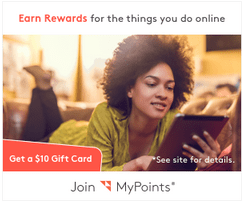 Sign-up Bonus: You will get a $10 gift card just for signing up with Mypoints – this is a nice bonus incentive offer to get you started on the site. It is free and very easy to sign-up, all you need to do is to enter and confirm an email address with the site. MyPoints shopping rewards are a great way to make some extra money in the form of gift cards (our favorite rewards are Amazon gift cards, we probably spend waaaaay to much time shopping on Amazon…). Mypoints Inc is a leader in online shopping cash back rewards. They were founded in 1996 in San Francisco and are currently owned by Prodege LLC. So they have been around for a long time. It is also worth mentioning that Prodege also owns Swagbucks, another website that we love and use regularly. MyPoints is a website that rewards people for taking small actions online. It is a very famous cash back site and many articles have been written about it. Here is just a few ways that you can make some much needed extra money using MyPoints. Using the MyPoints search engine instead of google. MyPoints will reward you for doing this. Digital grocery coupons can be found on MyPoints. This is a good habit to get into! You can earn points for shopping at your favorite online stores like Groupon, eBay and Walmart. Completing some short surveys on MyPoints can earn you some nice rewards as well (we love SurveyJunkie for paid surveys as well). My wife and I signed up for MyPoints and we have found it to be a very nice tool for getting cash back on purchases and making a little extra money. You can make money with the site by playing games (very low pay though). There are just so many ways to make money on the site – you even get paid to refer your friends to them. The list of ways to make money on the site is endless. For example, we received 1500 points (almost worth a $10 Amazon gift card!) when we purchased a Hulu subscription through MyPoints. Not bad considering we were going to buy the Hulu subscription anyway. This is the secret to making money with all these types of cash back sites (MyPoints, Ebates and SwagBucks etc.). If you develop the habits of purchasing what you always purchase but doing it through the MyPoints link, then you can effectively save hundreds if not thousands of dollars per year. It is a simple habit to get into, but a very good way to save money over the years. MyPoints has over 75 partner stores so you are not just limited to being paid in Amazon gift cards. Sign-up here (it is free!) to see the full list of partners that MyPoints work with. Another nice feature of MyPoints is that you will get a $10 Gift Card when you join MyPoints and spend $20 or more with a qualified partner. So between the signup bonus and our first couple of purchases through the MyPoint links, we made about $20 the very first day of using MyPoints. That is a pretty easy way to make some extra money. MyPoints was one of the original gift card reward sites. We love that you can simply browse the internet or purchase through MyPoints links, earn points and then cash them in for a gift card to one of the partner stores. 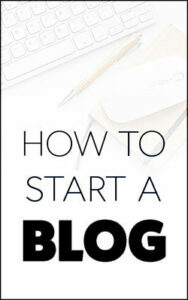 The whole process is very easy, simple and straightforward. To get started simply go to MyPoints and register for a free account. It only takes 1 minute to sign-up and you can start earning points right away. Check out this MyPoints review in the video below for more information about the company and what you can expect. Complete your MyPoints profile for an easy 60 points. Install the MyPoints search bar – very important! Everytime you search for something online you will earn points for it! Subscribe to their newsletter – you can get 5 points for every click on the promotional offers. These offers can be quite lucrative. Refer Friends – You receive a 25 point bonus for every friend that you refer to MyPoints. Then you will receive 10% of what they earn for life! This can really add up if you refer a lot of friends who use the site regularly. Surveys – You can get 50 points just for letting a company know what you think about certain products etc. I like the surveys on MyPoints but I have found more lucrative paid surveys (e.g. SurveyMomma, check them out here). Cash Out Carefully – Once you have earned some points, carefully check what the various partner merchants will give you for those points. It is not consistent across the board – some will give you a $10 gift card for 1000 points while others may want 1500 in exchange for a $10 gift card. You can also save a good amount of money with the coupons on the site. You get 1 point for every coupon that you print. You are limited to 500 printable coupons per month. If you redeem the coupons at your local grocery store, you get an extra 10 points per coupon. You can start to see why the coupons on the site are a great way to save money. 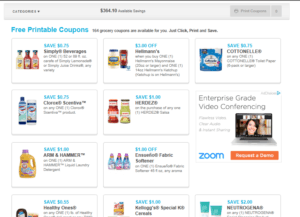 They have hundreds of dollars worth of coupons for you on the site – as you can see in the screenshot below. The only major problem with Mypoints is you might get quite a few emails that you don’t want. This has not been a big problem for us as the spam filters on Gmail do a good job of filtering out the unwanted junk. This is really the only My Points complaints that we have come across. Yes, in our experience, we have found that Mypoints is a legitimate site that does not steal your identity or sell your information to third parties. It is 100% safe from our experience. The company dedicates quite a bit of its resources to ensuring that the site is safe. No, they are a legitimate company that has a long history of paying out what they owe customers. We highly recommend signing up for MyPoints. It is very user-friendly, legit and they have always paid us on time. We really hope that you found this MyPoints review helpful. We have found these cash back sites to be extremely lucrative and they are definitely something that you should try if you haven’t already! The site offers a nice low cash out minimum ($10) which is very easy to achieve. We love this because there is nothing worse than starting completing surveys or trying to get cash back, only to find that you have to reach a $50 minimum before you can cash out. Mypoints allows you to cash out almost instantly – all you have to do is spend $20 through the site and you can cash out the $10 sign up bonus. To be honest, you could probably just use the site for cash back. The surveys are OK but there are better sites out there for paid surveys. Overall, we will continue to use MyPoints and we hope that you will give it a try too! If you are interest in the other ways to make some extra money and rewards, check out our most popular page that gives a list of the best ways to make extra money from home. Hopefully you have enjoyed our MyPoints Review ! If you have tried MyPoints please let others know about your experience in the comments below. We love MyPoints! It is a fantastic way to get some cash back on purchases.